Mikro Kapital, a leading business lender from Russia, launches on Mintos! JSC MFC Mikro Kapital (Mikro Kapital) has just launched on Mintos, offering you the opportunity to invest in its business loans from the Russian Federation. You can earn an average net annual return of up to 15% for its loans listed in Russian ruble (RUB) and up to 9% for its Euro (EUR) loans. 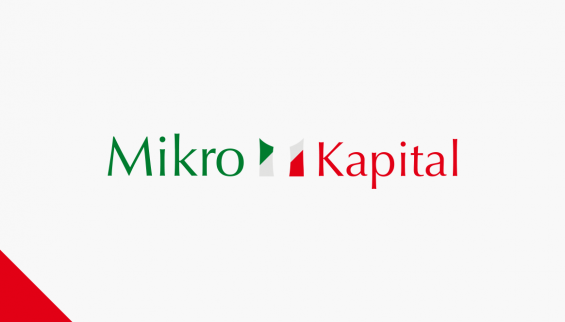 Mikro Kaptial is a part of Mikro Kapital Group, global holding company, uniting financial institutions in Italy, Switzerland, Luxemburg, Armenia, Russia, Belarus, Romania, Moldova, Tajikistan and other countries. The group was founded in 2008, and as of December 31, 2018, the Group had total assets under management of EUR 450 mln. Today the company has an experienced international management team, combined with local expertise. The aim of the company is to provide financial flows for micro-entrepreneurs as well as small and medium enterprises (SMEs). At present, the company has 46 offices and 220 employees covering high density regions of the Russian Federation. It has managed to attract 6,000 clients and as of December 31, 2018, has a net loan portfolio of EUR 21.3 million. It is ranked as a leader among microfinance institutions (MFIs), based on the ratio of 2018 portfolio dynamics, and is in the top three MFIs issuing secured loans in Russia. Since 2008 Mikro Kapital has issued loans worth EUR 433 million. It is regulated and licensed by the Central Bank of Russia. “As a financial organisation, we pursue diversification as one of the main strategies for our company. Being digitalised, Mintos is an excellent opportunity to raise funds directly from individual investors at an affordable price. At the same time, we believe that platforms like Mintos due to their efficient business models are becoming more and more popular and we would like to be a part of that development as well,” said General Director of Mikro Kapital Hakob Khotsanyan. Mikro Kapital offers business loans issued in Russia for investment on Mintos. The company has a Mintos Rating of A-. The loans are listed in both RUB and Euro (EUR), with net annual returns of up to 15% and 9% respectively. On the marketplace, Mikro Kapital loans range from EUR 5 000 to EUR 40 000, for loans listed in EUR, and from RUB 365 000 to RUB 2 900 000 for its RUB-listed loans. The loan maturity varies from 9 to 24 months. All Mikro Kapital loans are secured with a buyback guarantee and will be repurchased if a loan is delinquent for 60 days or more. Furthermore, the company will keep 5% of each loan placed on Mintos, to maintain its skin in the game. For Mikro Kapital’s 2018 financial year, the company managed to achieve strong results. Not only did the firm’s loan portfolio increased by a significant 243.5% year-on-year, but the company also reported a net income of EUR 137 000, which is up by 61.2% when measured against 2017.